Instructions:Place trap in the vicinity of the problem area. 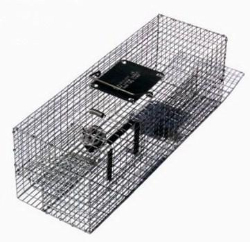 Baiting:Place bait inside the trap toward the center. Size: 8" x 8" x 24"